Hello! I’m Maralana, founder of Go. Do. Be® Empowering Life. I know first hand the importance of motivation and support in achieving healthy living goals and began my own wellness journey over 20 years ago. After being diagnosed with a Benign Brain Tumor (that sits on my pituitary gland) and finally realizing why I struggled so hard with weight issue, migraines, and fatigue. By working in Massage Therapy I was able to diminish the power migraines had over my life. With this new found strength I continued my health journey by losing 150lbs. The quest for a healthy, active lifestyle led me to my Go. Do. Be.® business that is accredited with helping individuals lose over 2,000 lbs. in its first year. Confidence was key to her start. As I began to excel in this new life, it was clear that I needed to become more active and was ready to start really living! I developed a passion for working out, incorporating a mix of gym workouts with outdoor sports- snowboarding and mountain biking. 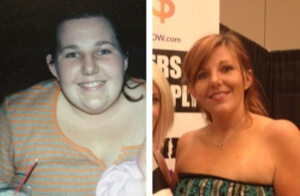 As I began to lose weight I gained confidence as others were now seeking her advice! I became an NASM Certified Personal Trainer so that I could continue to provide those around her with the right answers as well as take an active roll in her continuing weight loss. I’ve spent the last 10 years helping others find their Go. Do. Be.® and ways to make it happen. From massage, skin care, workouts, coaching, motivation, or just being there as an adventure buddy, I have created an ever growing community of people that share the Go. Do. Be.® mentality. I am now a Lifestyle blogger, professional speaker, and motivator challenging my clients to answer the questions: Where do you want to GO? What do you want to DO? Who do you want to BE? • Maralana can help you spread the word about your travel-related product and be the face/voice for your video/tv/radio promotions. 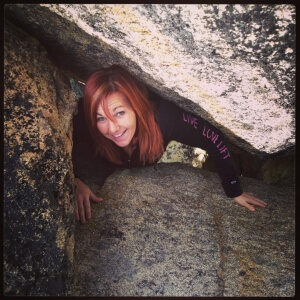 • Experienced in outdoors, recreation, fitness, nutrition, and motivation she has given interviews on television programs and radio stations across the country. • HIRE her to build excitement for your product/brand for brands via articles, blog posts, and media appearances. Customizing presentations to fit the needs and special interests of the group.